© GrandmasterMac.com 2017. All Rights Reserved. Designed by BLEND. Although it is true that no one has become the Master of Chess, that doesn’t stop us from trying. Here at GrandmasterMac we offer the highest quality chess education. We are a team of dedicated and skilled chess enthusiasts led by Grandmaster Mackenzie Molner. 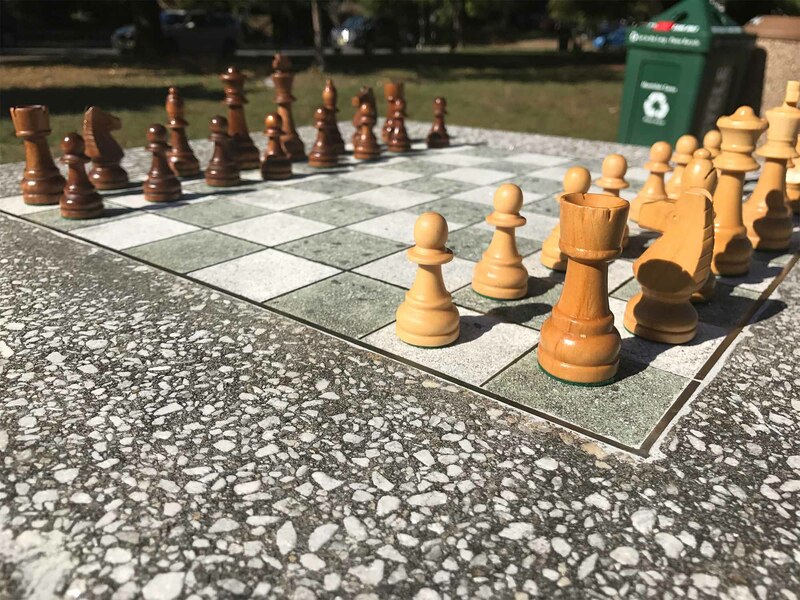 We help advanced tournament players hone their skills as well as guide beginner chess players into an exciting new world as they discover their passion for the game. Like the chess world at large, here at GrandmasterMac we offer more than education; we’re a community of people of all different ages, genders and background who come together to learn, to have fun, and (of course) to capture that sweet taste of victory as often as possible. The game of chess has been around in various forms for well over 1000 years and it has never been more popular. 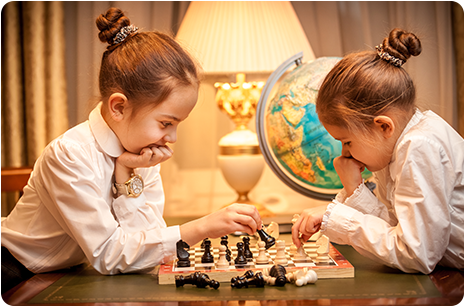 More than just a fun game, studies show time and again that studying chess – particularly at a young age – helps develop critical thinking skills, logical reasoning, thoughtfulness, patience and a dedicated work ethic. Chess continues to benefit the brain even in old age when regular play helps prevent Alzheimer’s. That all said, the most important reason to play chess is that once you fall in love with the game, it will be a passion you keep the rest of your life. Our team at GrandmasterMac is excited to share our passion with you as we take your chess game to the next level! Private coaching is the most effective way of improving your chess. Private coaching is offered in person and over the internet. The coach is able to give a direct, focused, and customized course of action tailored to the needs of each individual student. Group lessons are a great alternative to private coaching. They are cost effective and offer a more fun and social setting. Our instructor provides instruction during the first portion of the class which will usually be followed by games between students, and then analysis of those games. Using this method, the students get a fun but still personalized class. Current locations include Montclair, Summit, Chatham, Madison and the surrounding area (including NYC!). Upon request, we also offer group classes at private residences. Our afterschool programs are designed to meet the goals of the schools we work with, whether that is competing at a local, state, or national level, or simply to have a fun and instructional chess class. We will bring all of the equipment needed for classes, including pieces, boards, clocks, printouts.. If the program that you would like does not fall under any of the other listings, don’t hesitate to contact us! We are happy to help create a customized chess program just for you! Grandmaster Mackenzie Molner, known to his friends and students as just Mac, was born and raised in Montclair, New Jersey. He started playing chess at the age of seven, when he caught the chess bug at a summer camp. When the games at camp continued at home, his parents realized pretty quickly that they needed to find Mac some new competition or they would never be allowed to get up from the chess board. New opponents and friends were found first at an afterschool program, and then a club. Classes and tournaments eventually followed. Mac’s talent attracted the attention of Michael Khodarkovsky, an internationally renowned chess coach whose expertise helped Mac break out into the fierce competitor he became. Backed by his new coach, with whom Mac would continue to study until college, Mac continued to achieve individual and team success throughout his scholastic career, winning the K-3 state championship in third grade, a national team championship in 8th grade, first place in the Denker Tournament of High School Champions, and many other strong finishes at the state and national level. While a fulltime student at New York University, his academic studies did not slow down Mac’s chess career. 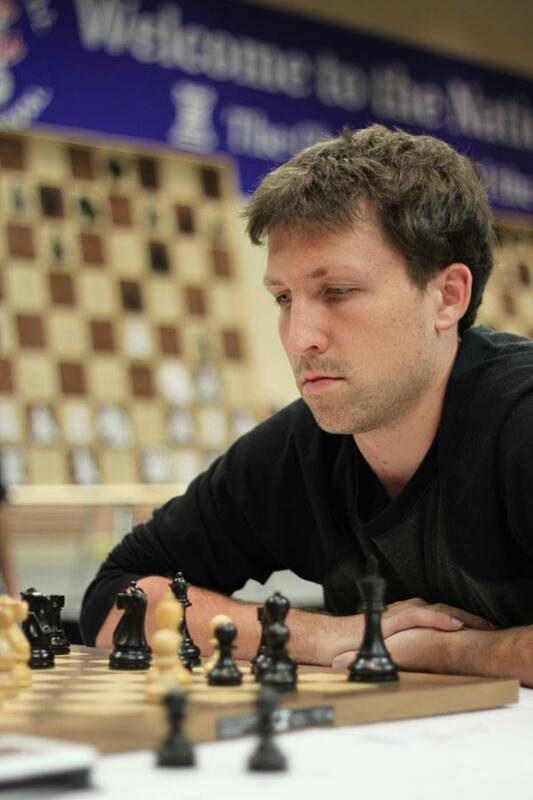 He was invited to play in the World Junior Championship held in Yerevan, Armenia in 2007 and quickly became known for his daring, tactical games, earning the title of International Master while still in college. As he continued to play professionally, Mac moved to Arizona for several years where he headed several afterschool programs and privately coached chess players with a wide range of skill levels and ages. 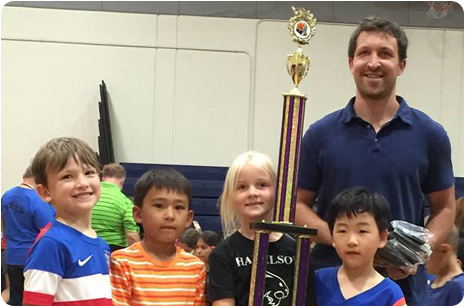 As he continued to see personal success in his own career, achieving the Grandmaster title and competing in prestigious tournaments such as the US Championship, Mac’s students and school teams also saw enormous success! Mac coached the World Youth Team in the UAE where one of his students went on to win the Gold Medal with a nearly perfect score. In 2015 his school programs won 1st place in the State Scholastic Championship in all divisions, from grades K-1 through K-9. Mac recently returned to his hometown, leaving Arizona with an even more thriving chess community than he had found there, and he is excited to continuing teaching, playing and building a chess community in the area in which first learned to move the pieces. Sean Finn is a chess expert who has played his longtime friend Mac in more chess games than he has played any single other opponent – whether you count rated tournament games or all recreational games. He would prefer to talk about their record before high school, but the game statistics are unfortunately available online. A five-time scholastic champion of New Jersey, Sean has also played chess for the majority of his life and has no plans to stop any time soon. From the moment he mistook his uncle’s chess board for a checker board, he latched onto the game, and like Mac followed a similar early chess trajectory that was spurred forward by the coaching efforts of Michael Khodarkovsky. As President of his high school chess club, Sean led his team to impressive finishes at states and nationals, and as President of the NYU Chess Club he helped his team (led by Mac on the first board) to impressive finishes at the Pan-American Collegiate Championship. Sean has taught afterschool and summer camp programs, including Montclair State University’s Gifted and Talent Program, classes through the International Chess School, and at Montclair Kimberley Academy’s summer program. He recently began teaching at the Montclair Learning Center and has privately coached children and adult players alike. When he is not playing chess, Sean works as an estimator for Jack Finn & Co. Building Contractors, a family-owned construction company specializing in Green Building and custom-built wood homes. 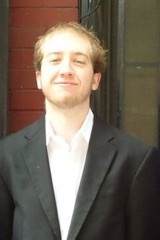 A Montclair native, he currently lives in Jersey City and is passionate about building a more vibrant chess community in the area he loves. Alex Velasquez is a class “A” chess player who enjoys surprising higher rated opponents with his impressive positional knowledge of the game. His passion for chess began as a high school student in his hometown of Miami, Florida where he quickly joined the Miami International Chess Academy – one of the most prestigious chess clubs in the country. He cites local champions International Master Blas Lugo and FIDE Master Marcel Martinez as heavy influences on his game. Once primarily a Blitz player who thrived on tactical brilliancies, Alex’s game has matured with an increasingly well rounded positional understanding of the different phases of the game and how they are integrated. He now lives in Brooklyn where he is known as both a coach and player who brings a matchless passion to the game and to his students. 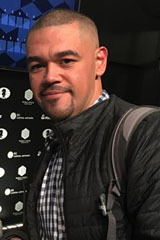 Because of his own learning trajectory as a player, Alex has truly internalized the philosophy as a coach that his job is to teach students the conceptual principles that will allow them to correctly evaluate positions and plan strategically, rather than focus on the memorization that comes with practice and repetition. Alex brings a rare combination of good humor and serious thought to every lesson that students of the game cannot help but appreciate. What type of coaching would you like?